James Hay Wodehouse says, “Put those American flags in a bag!” 1893. Look back at the 1867 laying of the cornerstone of St. Andrew’s Cathedral, 1906. 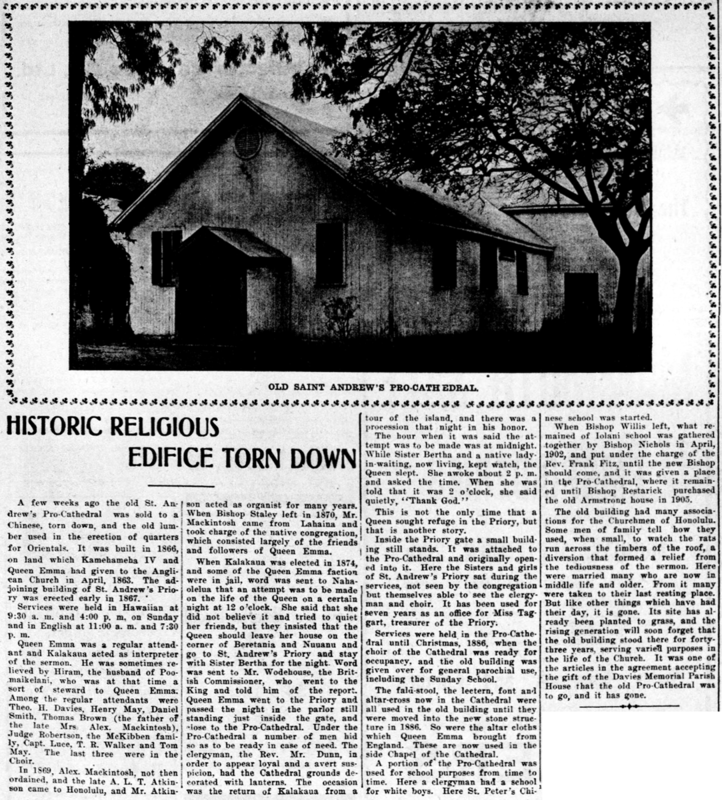 This is the first laying of the cornerstone of the Anglican Church of Honolulu, on March 5, 1867. Standing near the cornerstone is King Kamehameha V, and behind him are the priests of the Anglican Church. And behind those two are the attendants of the King and his Cabinet of Ministers, and to the right side of the cornerstone is the British Consul Wodehouse and his wife. 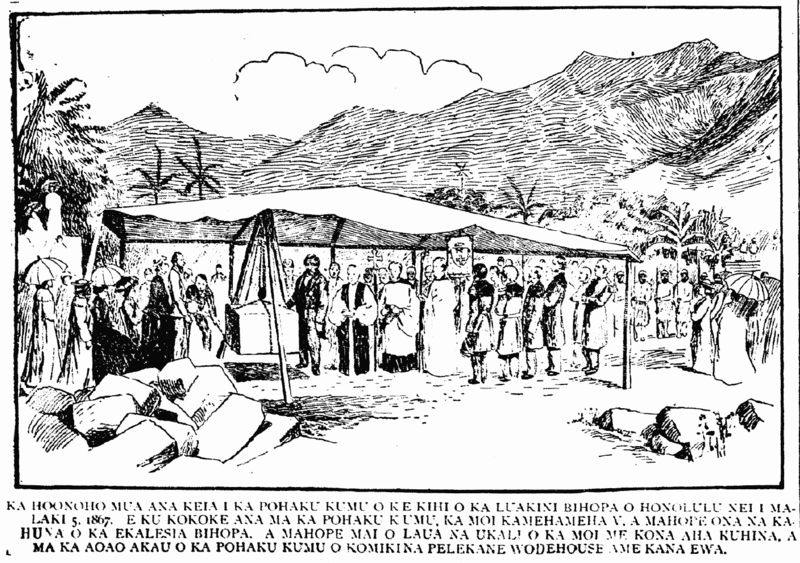 Ka Nupepa Kuokoa, Buke XLV, Helu 48, Aoao 2. Novemaba 30, 1906.